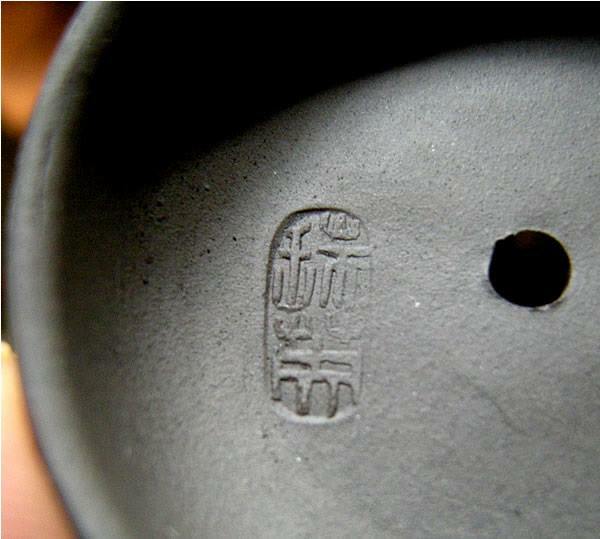 During one of my recent treasure hunts looking for Asian art, I found another Yixing Zisha clay teapot, made by Cao Ruiying, marked with a seal on the bottom that reads 曹瑞英制, Cáo ruì yīngzhì, made by Cao Ruiying. 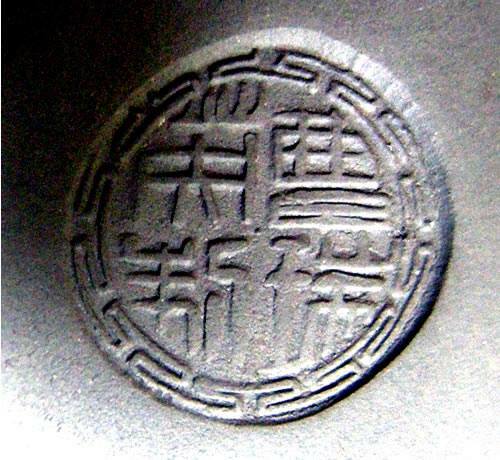 There's another mark under the lid with a simple mark for Ruiying, 瑞英.. I'm not sure if Ruiying is one word, or supposed to be two, like Rui Ying. It's a fairly simple yixing pot, but I like it very much. To date I still haven't been able to find out anything online about the artist, but it's not uncommon for that to happen, especially when dealing with unknown or not famous artists. I'm not sure of the age of this pot, but it does not appear that old to me, so my best guess is mid to late 20th century as a possible range which is fine with me since Yixing Zisha teapots are great little teapots for brewing teas, and now I have another Yixing maker's mark to add to my list of Yixing Artist's Seal Marks. 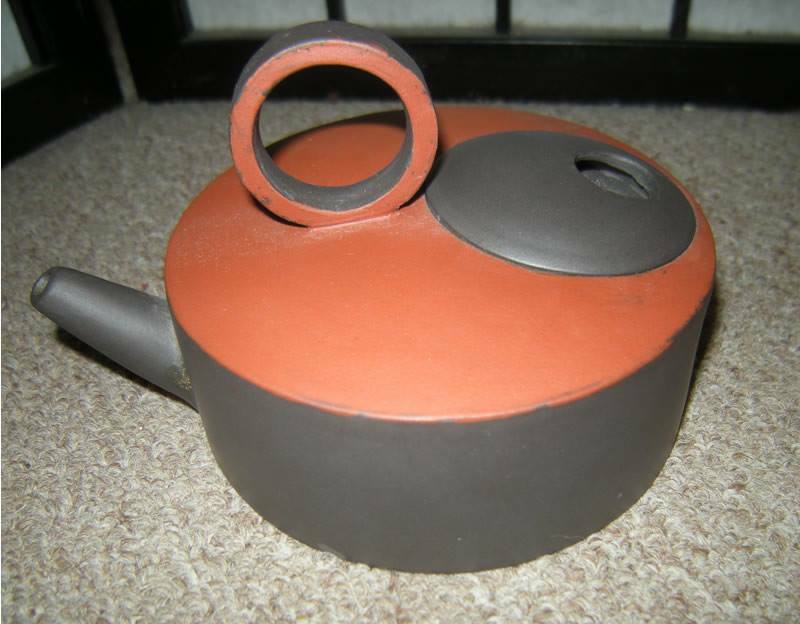 I have another small Yixing Zisha teapot I want to post and share here, however, have not had the calligraphy on it nor the mark translated, so have been holding off until the artist is identified, so when that's done I will share that one here as well, and hope to acquire more Yixing teapots for my collection.